Pleasure to share with you that India’s only state awarded and most noteworthy chain of Guitar Schools, Guitarmonk opened several guitar institutes in Pune. Being the cultural capital of Maharashtra, it’s famous for various cultural activities happens in the city throughout an year. Bharati Vidyapeeth University, D. Y. Patil, Film and Television Institute of India and Osho International Meditation Resort are some of its popular destinations. Having holistic Guitar education system in India with systematically organized and especially relevant guitar training courses. Guitarmonk has taught more than 8000 students from more than 18 countries) for more than a decade across our 27 centers in 6 cities. Our vision, mission and philosophy is focused towards our role in providing the utmost contribution through music. Currently we are offering guitar classes in Pune at Aundh, Magarpatta City, Kothrud & Ravet while having plans to gradually expand to other locations as well. Career – Advanced Diploma in Guitar. As we offer specialized once a week batches. 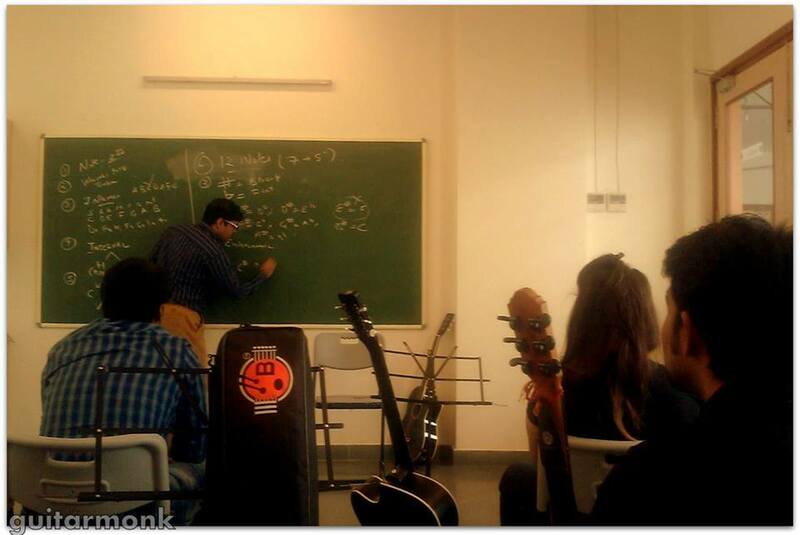 Hence applicants looking for qualitative guitar classes in Pune find it easier to come. Locations as Aundh Road, akurdi, ambegoan and baner. Bavdhan, bibwewadi, bhosari, balewadi, camp and chinchwad. Chandannagar, chakan, deccan, dhayari, dhankwadi and dange, chowk. Dhanori, dapodi, erandwane, fatimanagar, fc road and hinjewadi. In addition, hadapsar, kharadi, kondhwa, kalyani – karve nagar and koregaon park. Furthermore katraj, kalewadi, khadki, law college and, mg road. Model colony, market yard, nibm, old sangvi and pimple saudagar. Also Pashan, pimpri, pcmc, sinhagad – satara road and sadashiv peth. Swargate, sb road, shivaji nagar, sahakar nagar and tilak road. In addition tingre nagar, undri, vishal nagar and vishrantwadi. viman nagar, warje, waked, wanowrie, wagholi, yerwada etc. Most of all, To Join our batches and information related to music classes in Pune. Call us at +91 9899755985; +91 9716045455. Furthermore, you can email us at contact@guitarmonk.com,.